Most of you probably already have heard that Google has officially announced its new browser, Chrome, which will be released to the public (in beta form) later today. It is an open source project that has a very, very interesting set of features that enhance security, privacy, speed and stability, includingÂ multiprocessing architecture. 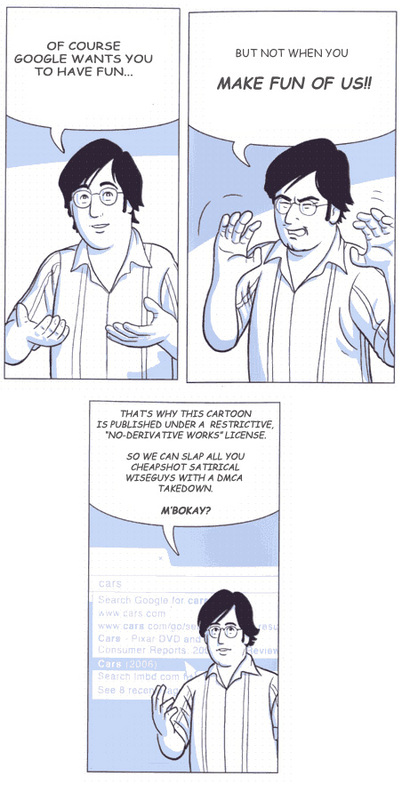 You can read more about the features in the comic that Google has published to walk you through it. What a great approach. Wikipedia also has a bit of a compressed summary of the new features as well, which is a bit quicker to get through than the comic. Will be very interesting to see how this browser does. I imagine it likely will be quite good, given most of the stuff that Google has offered. That being said, I was a bit concerned as to what this meant for Mozilla, whose existence (or at least revenue) I understand depends significantly on its relationship with Google, which is now, effectively, a competitor of sorts. Mozilla’s CEO has already posted his reactions to Chrome. Whether or not it turns out to be a good thing or bad thing remains to be seen – there are already a few folks who have alluded to the possibility of a Google “monopoly” and/or anti-competitive behaviour through Chrome. IMHO I think that’s rather unlikely. At the end of the day, though, I think this will only serve to enhance the choices people have, browser wise, and improve things all around. Though I’m hoping it will not lead to the demise of Mozilla. I like Mozilla. And of course Firefox. Further further update: Installed and running. So far, so good. Rather bare bones but impressive memory footprint, and very snappy, both on launch and, well, pretty well everything else. A very simple and straightforward approach that doesn’t have a million options, choices and tweaks, or nifty integrations (a la Flock). Miss my plugins though. And not surprising there don’t appear to be any for Chrome right now, at least AFAIK. Another update: Works well but does not play well with Facebook – some links/features just don’t work. Prism is an application that lets users split web applications out of their browser and run them directly on their desktop. I haven’t yet tried it myself but find the concept of further blurring the distinction between the network or server and the local machine quite intriguing.